Last week we brought you tons of mock-ups of Apple's upcoming iPhone 5 that were based on leaked renders and schematics. Now, we've taken those renders a step further by creating the side renders and back mockups of the iPhone 5. We've even included several images of what applications, games and videos might look like when you're holding the device in portrait or landscape mode. 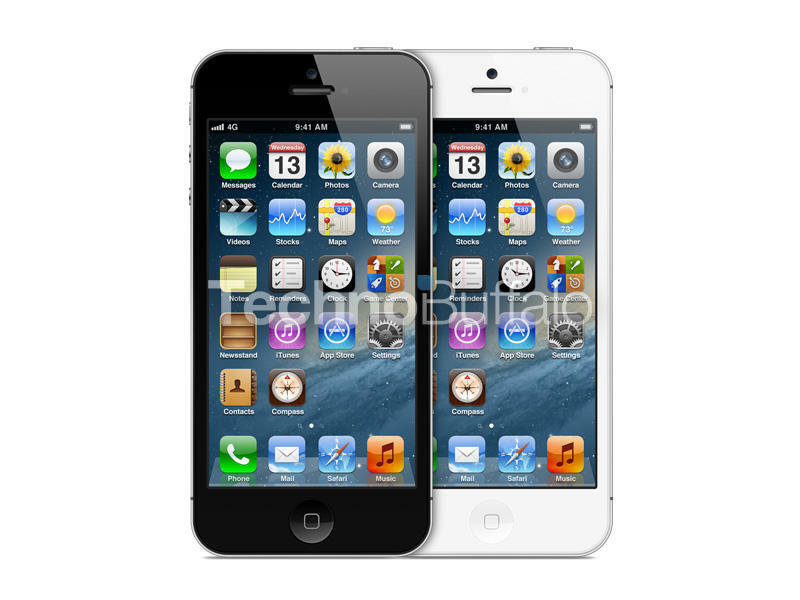 As before, we've created full renders of both white and black models of the iPhone 5. After additional research, the above renders have been slightly modified from our original mockups published last week. For the curious ones out there, both the antenna bands and the switches & buttons on the left were slightly shifted downward to match the design of the back. The black iPhone 5 was particularly interesting to research and render. According to the iPhone 5 parts leaked by 9to5 Mac, the bezel of the black model appeared to be black all around – a simple never-before design update seen on any of the previous iPhones out-of-the-box. Now we'll spice things up a bit and bring the iPhone 5 mockups to life. Here, you'll see what we believe the device will look like playing fullscreen video, what it will look like while browsing the web and the experience you might expect while playing Cut the Rope. The above image shows how non 16:9 optimized applications (basically anything and everything available to download and install onto your iOS devices) might render on the new iPhone. With a hypothetical screen height adjustment, apps would have an addition of 176 pixels (1136px – 960px) of blank space. To make sense of this, I positioned the application in the middle of the screen, leaving an even 88 pixels on the top and bottom. I've also added a "fullscreen" icon on the bottom right, similar to the "2X" icon found on the iPad. The concept is that the device will provide users with an option to maximize non 16:9 apps to fullscreen, which results in parts of the app being cut off on the sides – similar to how one would experience watching 16:9 videos on the current line-up of 4:3 iOS devices. A huge shout out to Marshall Bock for his incredible iPhone 4S PSD template, which was used to form the skeleton of the iPhone 5 mock ups.